MacKenzie Commercial Real Estate Services, LLC is proud to announce that they have been awarded the listing assignment for 200 Harry S. Truman Parkway, a 54,762 square foot, Class A office building in the heart of Annapolis owned by the Maryland Association of Realtors (MAR). The leasing team will consist of industry experts, Vice Presidents Trish Farrell and Justin Mullen, and Real Estate Advisor John Gallagher. 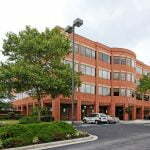 Having a presence in Annapolis for more than 30 years, MacKenzie is intimately familiar with the market and 200 Harry S. Truman Parkway. Over recent years, the team has completed multiple transactions in the building totaling more than 31,000 square feet. MacKenzie’s comprehensive marketing plan includes reintroducing the asset to the market as a premier location, highlighting its many first class features, and of course the endless surrounding amenities. Currently 97% leased, the building will have approximately 16,000 square feet available January 1, 2016 which includes a rarely available full floor of 14,700 square feet. For more information on this listing, please visit www.mackenziecommercial.com or contact Trish Farrell, 410.974.9003 or tfarrell@mackenziecommercial.com; Justin Mullen, 410.974.9008 or jmullen@mackenziecommercial.com; or John Gallagher, 410.953.0356 or jgallagher@mackenziecommercial.com.